A new three-part print project that will be on view and available for pick up at the gallery. The role of these three papers before you is a respectful challenge to the perpetuation of the myth of a lack of continuity in the Toronto art community, even if the myth is a compelling (albeit well-versed) one: the secrecy and whispered sounds, initiation and anticipation that something is accruing from below or from the sides, palpable but ungraspable. Histories have emerged (more remain on the cusp, gossiped about); presupposed continuities continue to be questioned. What is needed is an approach that develops a sense of time in discontinuity, a way to counter static chronological accounts (perhaps General Idea’s retrospective futurity) where material is recycled back into narrative to change or contradict: a self-image reimagined. The premise of the untimely can be seen as a way to reconsider the questions of representation, content and discontent that dot these pages. Take 1984. It is the year of General Idea’s mythic work The 1984 Miss General Idea Pavillion (destroyed in 1977), when the Valentine’s Day Massacre was precipitated by Philip Monk’s reading of his essay Axis of Difference, and the exhibition Subjects in Pictures brought his Language and Representation trilogy to a close. Two years removed from the A Space putsch, the notion of Social Responsibility remained an issue at hand, found in (among other places) FUSE magazine’s exciting climate of cultural criticism. While Carole Conde and Karl Beveridge busied themselves in the type of pragmatic collaborative practices that would see renewed attention almost thirty years later, Joanne Todd and Shelagh Alexander emerged as two of the most compelling artists in the city (each with drastically different artist trajectories ahead of them). This is to say nothing of Brian Groombridge’s striking Balance and Power, nor Colin Campbell’s disquieting dramas like The Woman Who Went Too Far: words, works and images that need return to conversation, objects of experience that should be taken as a spirited intervention into the present. These papers also acknowledge the ardent work of cultural producers who challenged the scope of respectable and accepted histories in the 1980s and influenced artists and writers today, from the writers in FUSE addressing a wide range of local and global practices and concerns, to The Women’s Cultural Building and feminist journals like Fireweed to the dynamic practices of artists like David Buchan and Shelley Niro. 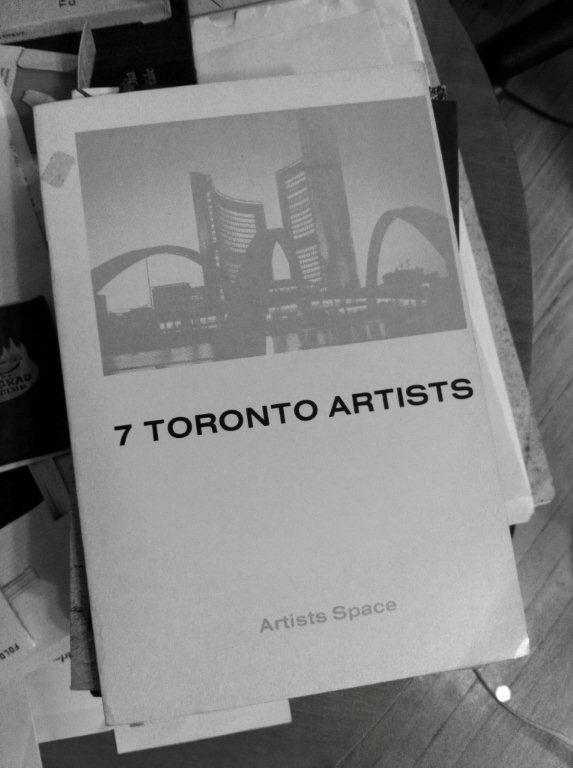 While these papers are adapted from a larger study on the tensions between political intent and formal experimentation specifically found in Toronto practices, it is a selective project using the YYZ Archives from an individual artist’s perspective. Accordingly, A Point Expanded To A Plane, has its own blind spots. YYZUNLIMITED invites artists to imagine and reinvent the organization as a site of opportunity through a series of interventions, the presence of which serves as material evidence of a lasting community that is not determined by the duration or protocol of the exhibition structure at YYZ. KEVIN RODGERS is a visual artist whose practice draws upon provisional formalism and political philosophy. In 2012, Rodgers received his PhD in Art and Visual Culture from Western University, and is a 2008 graduate of the master of fine arts program at the University of Guelph. Rodgers has shown in several group exhibitions across Canada, the United States and Belgium, and his upcoming projects include Neutral Ground in Regina and at Dazibao in Montreal. His recent solo exhibitions include McIntosh Gallery, London; goodwater gallery, Toronto; and Galerie Tatjana Pieters, Ghent, Belgium. He has also written for numerous magazines, including FUSE, C Magazine, Border Crossings, and ART PAPERS, as well as curated two exhibitions: THE FOX (2011) and IF DESTROYED… (2010). In 2014, Rodgers will participate in a three month residency at the FLACC workspace in Genk, Belgium. He is currently the Artistic Director of Modern Fuel Artist-Run Centre in Kingston, ON.